The Midwest's best wedding band, corporate party band, and special event band! 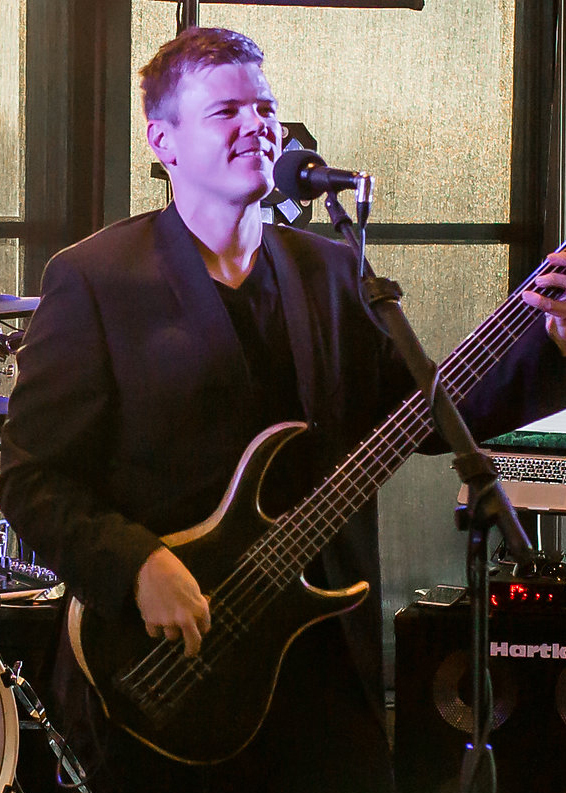 Talented, educated, and professional players help make your wedding reception or private event successful. Find out more about The Innocence here. Experienced entertainers that make your event a success! Spencer brings great vocals, endless keyboard ability, and an exciting stage presence to The Innocence! Spencer is a seasoned musician that can perform any musical genre. Rock, country, blues, jazz…you name it! Spencer graduated from the University of Nebraska at Kearney, and teaches high school band. On lead vocals, Dave is the voice behind all of the “Journey” tunes The Innocence cover. He’s been personally instructed by bass guitar legends Victor Wooten and Steve Bailey. 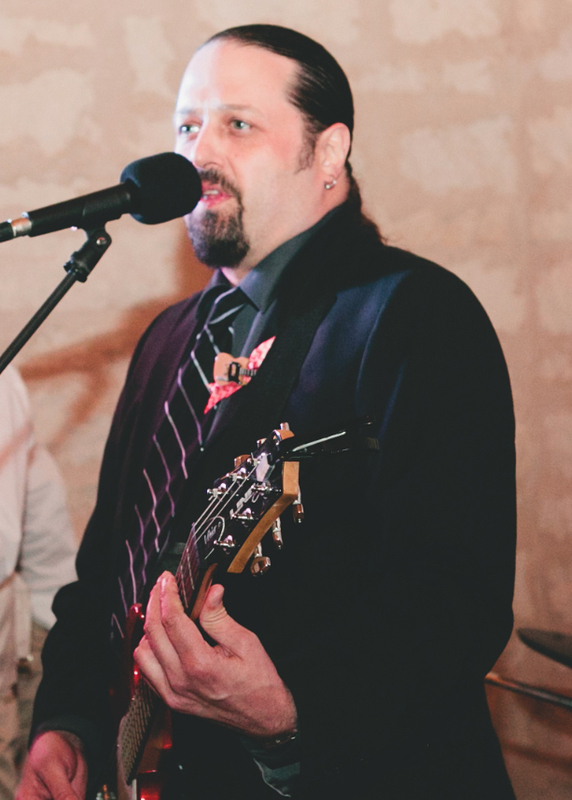 Dave is your emcee for special events keeping the crowds energized, and he creates a party that flows throughout the night! Dave graduated from the University of Nebraska at Kearney, and teaches private music lessons at Yanda's Music and has a fun solo show as well. Luke defines excellence in drumming. He provides the rumble that makes you move, and the ‘funk’ to really let those hips shake! Luke has been privately instructed by first-call studio drummers in both Los Angeles and Nashville. If you're dancing, it’s all Luke's fault! Luke graduated from the University of Nebraska at Kearney, and is working in software development and implementation for The Scoular Company. Shawn brings an exciting raw guitar vibe and great vocals to The Innocence. He’s been playing in Nebraska the better part of 25 years in successful bands in Omaha. Shawn has a fantastic repertoire ranging from Classic Country to grinding Rock n’ Roll, but isn’t afraid to let his hair down during fun Pop music either. Shawn is a full time musician playing in The Innocence as well as his own Shawn Fredieu Acoustic Show and private music instruction. With a song list of diverse hits from Journey to Rascal Flatts; Michael Jackson to AC/DC, The Innocence is the ultimate party band! Their instrumental and vocal prowess allows them to cover difficult songs most bands wouldn't dare attempt. The Innocence is a perfect live band for your wedding reception, corporate event, private party, or street dance! The Innocence has played shows with Kansas, Foreigner, Cheap Trick, Lee Ann Womack, and Winona Judd at state fairs, festivals, and other concerts. The band travels with exceptional sound and lighting, and has played all over the Midwest including Nebraska, South Dakota, Iowa, Wisconsin, and Kansas. You can catch them regularly at clubs in Kearney, Lincoln, and Omaha, Nebraska as well as Colby, Kansas. You won't find a more exciting, talented, and professional band than The Innocence. Don't hesitate, book them today!